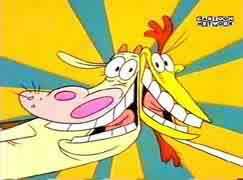 The Cow and Chicken Homepage! Visit the page please, and tell me what you think of it. Two Stupid Dogs... Take a look, and enjoy the stupidities of those two funny dogs. You can also meet my three funny pets. 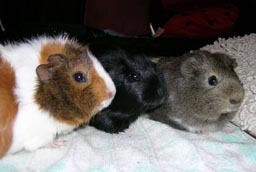 They are named after the TV-series Charmed, Phoebe, Piper and Prue. The brown-white one is Phoebe, the black one is Piper and the grey-white one is Prue. Ok, maybe you missed Paige? Well, there are 3 little whitches now, so Paige will be there if one of the 3 is being magically transferred elsewhere. Click here to see some pictures of them. The page is in dutch. You can also click on the image of P3. Soon you'll find some pictures and specs of my car-tuning project. Ok, I know, it's a 5-door Opel Astra F-CC 1.8-16V (1996-1997) or Vauxhall Astra MkIII 1.8-16V, but there is a lot things you can modify on this car. 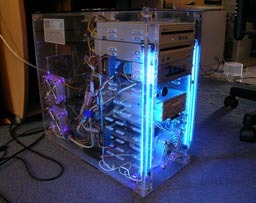 Casemodding is something I really like. It is not too expensive. Click here to see the results. Only the XP3000 has been modified. Click here for other information I put on my Homepage. 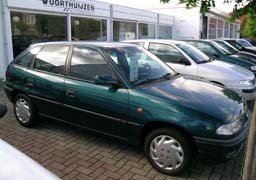 This page is read by users since 9 february 1996.